This revision podcast presents the background to the French Revolution. Beginning with the impact of the Enlightenment on 18th Century Europe, it goes on to examine a variety of factors that led to the Revolution. Long-term issues that are covered include the Estates System, the emergence of the bourgeoisie and the changing economy, taxation and financial problems, and the effect of the population increase. 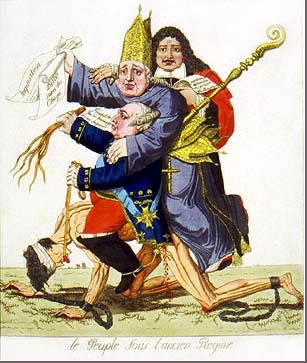 Shorter term causes that are explained include the impact of King Louis XVI, the Assembly of the Notables, the Estates General, and the Tennis Court Oath. Factors are explained thematically to make it easier to organise ideas during revision, and it’s hoped that this will in turn help you create a well-structured answer.